Senator Susan Collins calls President Trump's ban on transgender service members discriminatory and, in response, is introducing a new bill that would protect current and future transgender troops. WASHINGTON, D.C., USA — Senator Susan Collins calls President Trump's ban on transgender service members discriminatory and, in response, is introducing a new bill that would protect current and future transgender troops. 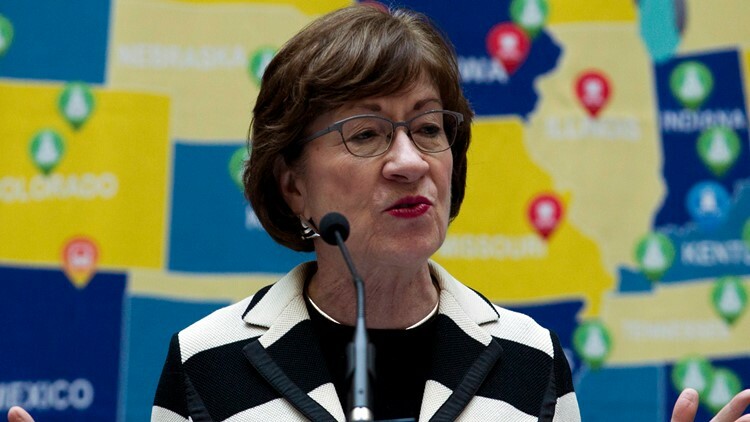 Following the recent Supreme Court ruling that will allow President Trump’s ban on transgender military service members to go into effect, Collins is reaching across party lines to introduce a new bill. The new legislation would protect the thousands of transgender service members currently serving and allow other transgender people to join the military. Collins says Trump's ban undermines military readiness and is an insult to transgender people who want to serve in the U.S. military. "I strongly believe that anyone who is qualified, able to be deployed into war zones, and wants to serve should continue to be allowed to do so, including our transgender troops," Collins said. Sen. Kirsten Gillibrand of New York (D) and Sen. Jack Reed of Rhode Island (D) have joined Collins on the bill. The legislation also prevents the Dept. of Defense from kicking out military members based solely on their gender identity. Chiefs of the Army, Navy and Air Force and the Commandant of the Marine Corps testified that open transgender service members do not have a negative effect on troops. The Commandant of the Coast Guard separately testified to something similar. The bill would protect all current and future transgender Americans who meet all other military and medical standards to serve in the Armed Forces. "If individuals are willing to put on the uniform of our country and risk their lives for our freedoms, then we should be expressing our gratitude to them, not trying to kick them out of the military,” said Collins. Collins was instrumental in repealing the military's "Don't Ask, Don't Tell" policy which allowed gay servicemen and women to serve in the military as long as they kept their sexual orientation private.